It is time for me to update my gift-buying guide! I’ve added some new brands to consider, local toy stores, and links to other posts with lots of gift ideas. Toys are marketed to adults (they are the people with the credit cards or cash). Yet, what appeals to adults is not really what makes for a good toy. Adults love toys that are cute, educational, or have lots of features. However, children don’t usually care. So, what makes a gift a “good” toy? 3 things: Durable, flexible to use, and engaging. Durable (including is it safe)? Toys for younger children usually are safe and durable, but when you are looking at toys for older children, the quality can vary a lot. Just keep in mind you get what you pay for most of the time. Children will find ways to use and abuse toys, so the more pieces and features a toys has, the more I question its safety and durability. Flexible in it use (allowing for it to be used for a long time)? 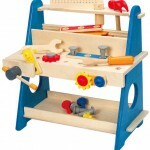 Look for toys that can be used at many ages in many ways. Consider how a toy might be used in a year or even 5 years. Can the toy be played with alone and with a friend or sibling? If it is likely to only be played with for a short developmental time (or if the children will only like it for a short time while it is “popular”), consider finding another toy. It engages a child to play, rather than just entertaining a child. Toys that entertain allow a child to be passive (like watching TV) or to take minimal effort to activate (like push button toys). 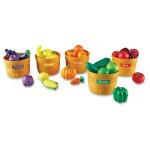 Toys that engage a child encourage them to take an active role in playing, using motor and cognitive skills. Toys that are great for engagement are art activities, sensory play, pretend play, building play, and social activities like board games. Looking for an easier way to decide? If it has batteries, buttons to push to make noise, comes from a TV show or movie, or if there are more pieces than a child can keep track of, I usually pass. (If you really aren’t sure, an easy gift is always a good book, new playdoh, or a gift card to a local children’s place like the zoo). Where to buy better gifts? Look beyond Target, Walmart, and Toys R Us- I rarely buy toys at the major big box stores. While there are some great toys there, they are the minority and hard to pick out among all the flashy advertising. Don’t get me wrong, the toys look great (they are well marketed), but they don’t usually pass my “what makes a good gift” criteria. 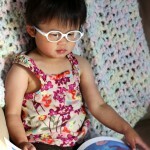 Lakeshore Learning (catalog, website and store in the Twin Cities). Decent pricing, especially if you sign up to get email coupons. Amazon: I buy most of my toys and gifts on Amazon. 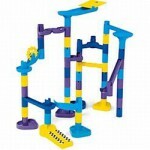 I look for brands that make higher quality toys and browse those specific brands for more ideas. Try using the ratings and reviews to help you. 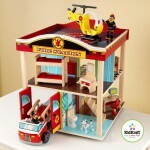 The reviews also give insight into age ranges and longevity of the toys in real homes. Learn more about cooperative games here. Legos (and all the younger versions like Duplos)- a very durable toy brand that has clearly stood up to the test of time. Playdoh- while I don’t care for most of the accessories and play kits, it is hard to beat playing with the dough for creative play. 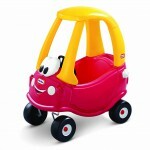 Little Tikes- they make some of the classic children’s toys, like the Cozy Coup Car and toy shopping cart. Fisher Price- Their traditional baby toys are still great, and the Little People sets are also durable and encourage pretend play. 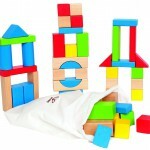 Melissa and Doug- they make some great puzzles and manipulative toys. Rather than cluttering up play rooms, consider opting for a a gift card for a class (music class, swim lesson, dance or gymnastics, team sports, art classes, community education classes). Memberships or a gift card to local children’s places, like zoos, museums, movies, theaters, and parks. 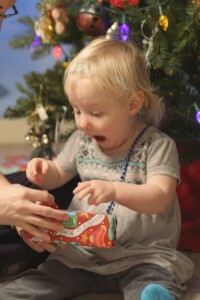 Check out my post on 10 cheap gifts that are great for children for more ideas! Some of my personal favorites are travel games to help with fine motor and cognitive development.